Newton Stewart Walking Festival starts on 5 May for a week. Click here to view their website and to book a place. They range from easy peasy to pretty strenuous and it’s great way to explore a new area without getting lost as all the walks are led by experienced guides. The waterfall pictured is from walk 5-1, a strenuous walk of 13.5 miles around the Clachan of Dalry. The trail explores the attractive Glenkens landscape around St. John’s Town of Dalry. It’s a new route which combines some attractions visited on previous WalkFests but also includes a host of new additions which makes it an interesting mix of changing landscape, history and natural elements. The walk is led by Bob Peace, a member of Galloway Mountain Rescue and a local resident who will illustrate the walk with interesting facts, figures and myths! A finish at the Clachan Inn rounds off the day, with an opportunity for a refreshment or two! Walkers meet at Newton Stewart, about a 40 minute drive from Straiton, before being taken to the walk start and are returned there after an enjoyable and sociable day out in the countryside. Grab 3 friends, some sandwiches and cakes and come along to enjoy a fun evening at the McCandlish Hall this Saturday 4th March at 7.30pm. Tables cost £12 (for 4). The object is to win as many antique flags as possible, I think they still have Abyssinia and Southern Rhodesia! Prizes for those with the most flags, and the least. Get a few tickets for more chances to win in one of Straiton’s famous raffles. The short, but very scenic, Church Walk has re-opened after a landslip made it impassable. As you can see it’s as good as new. Today was a great day for taking snaps, cold but very sunny. The river had surface bubbles swirling around making some lovely patterns. After days of lashing rain and gales the wind dropped, the rain ceased and the sun came out. 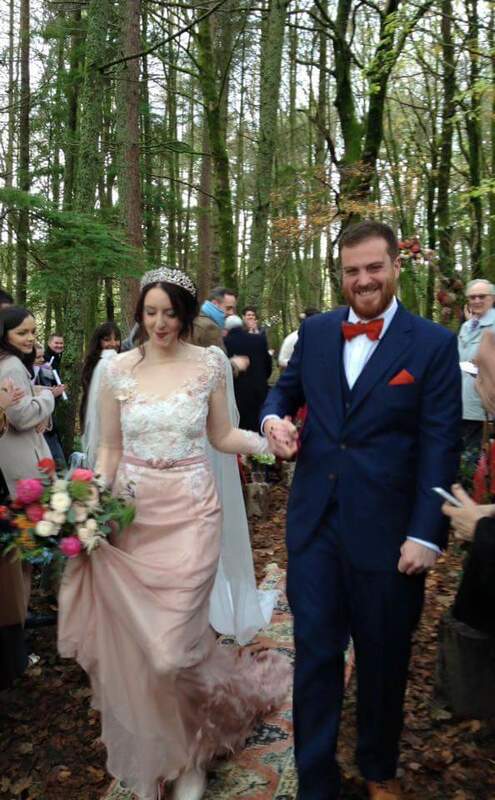 It was a crisp but perfect day for the happy couple who were married in the woods by Balbeg. 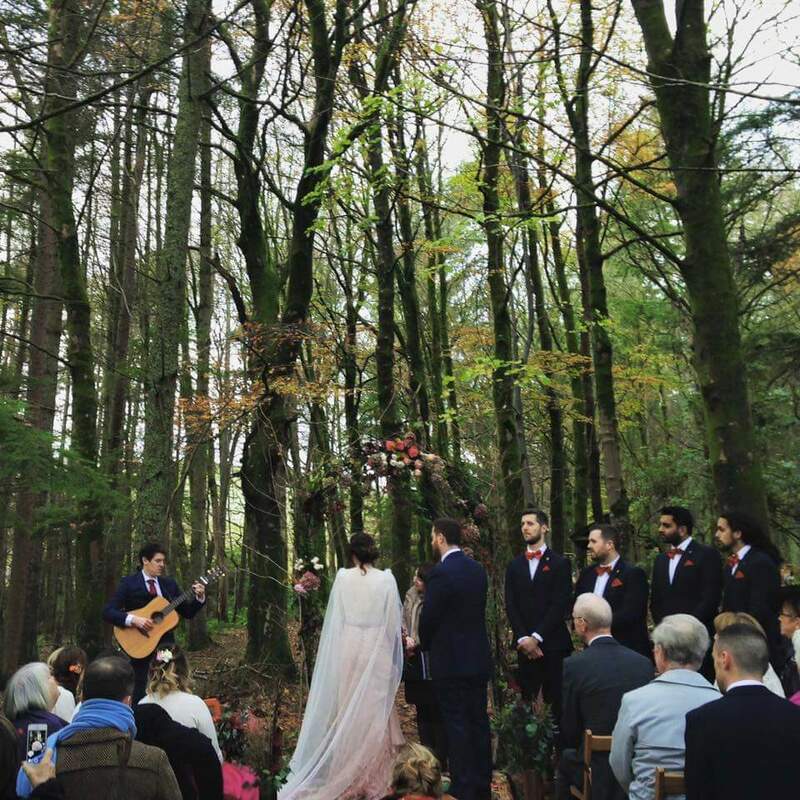 We think it’s the first time such a ceremony has taken place in the woods and it looks beautiful and very romantic. Afterwards the celebrations continued at the Barn at Dalduff. We wish the couple a long and very happy future together. 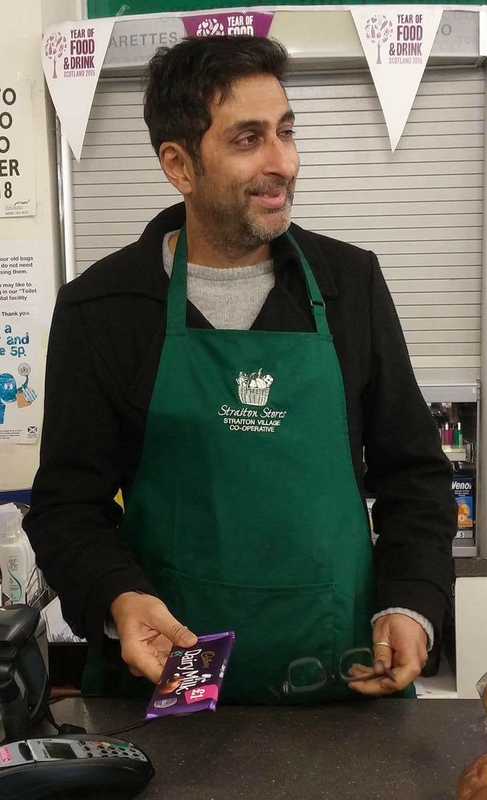 Actor, writer and broadcaster, Sanjeev Singh Kohli, was in Straiton recently undertaking research for a new Radio 4 programme which he will be presenting. The show will feature the village’s reaction to Mr Zhou Jing Liang buying Blairquhan Castle. They discovered that reaction was all positive; Blairquhan was voted one of Britain’s best wedding venues and the new owners have expanded and improved on this foundation established by Sir Patrick and Lady Marguerite Hunter Blair. Their continued and growing success as a wedding and business venue brings benefits to the village, provides employment and support for local businesses. Thousands of visitors come to Blairquhan each year and discover the beautiful scenery, great walks and cycling, Straiton has to offer and plan their return visit. 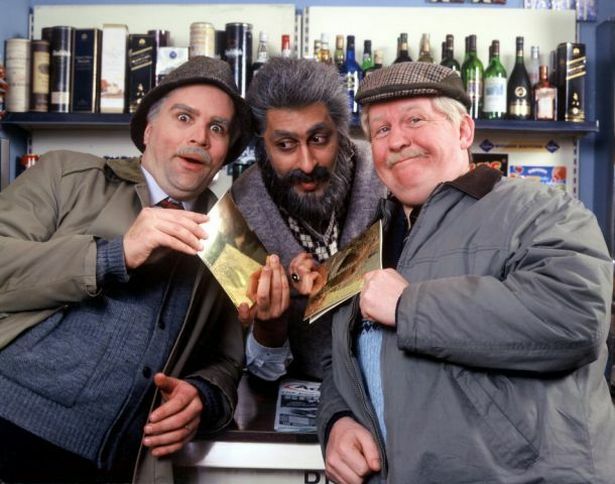 Viewers of Still Game will know Sanjeev as Navid, the droll corner shop keeper in Glasgow. He is now taken on his first serious acting role in River City. Filming takes place a few months in advance and Sanjeev has had to learn several verses of Tam O’ Shanter; ever the professional Sanjeev learnt the whole poem, and proceeded to reel off lines in a perfect Burns dialect. He has also recently learnt Gaelic for a new BBC Alba documentary. The radio programme will be broadcast in December, keep an eye out for future posts on this site over the coming weeks when we’ll let you know the title, date and time. 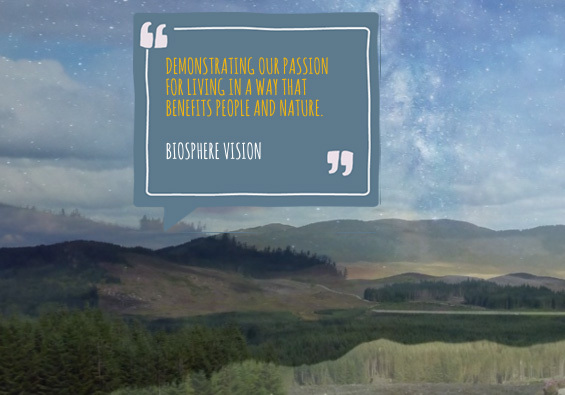 VisitStraiton has become a proud supporter of Scotland’s first Biosphere. 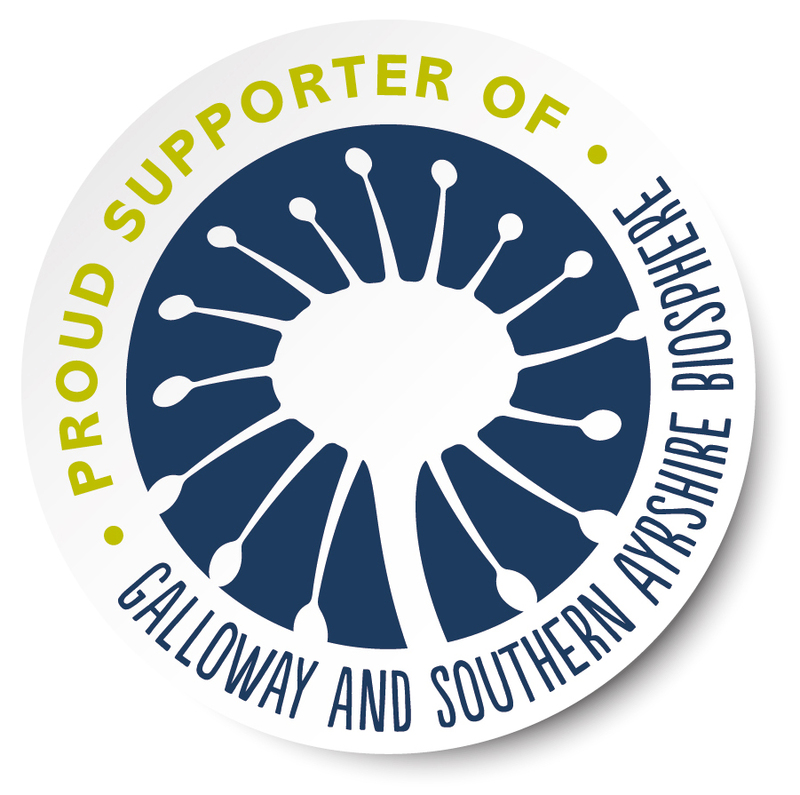 The Galloway and Southern Ayrshire Biosphere covers 5268 squares kilometres and is home to 95,000 people. It was given this status in recognition of its special natural qualities. The boundary embraces diverse countryside surrounding the Galloway Hills. The rivers radiating out from the hills provide water as a common theme connecting the cultural identity and natural environment with everyone living and working in the area. Learning: supporting a better understanding of nature and global issues. Development: fostering a sustainable economy and society.